Apple has started rolling out the anticipated Single Sign-On feature to iOS 10.2 and tvOS 10.1 beta users. Available for iPhone, iPad, and Apple TV, Single Sign-On is currently limited to a small amount of TV providers, including Dish, GVTC Communications, Hotwire, and Sling TV. 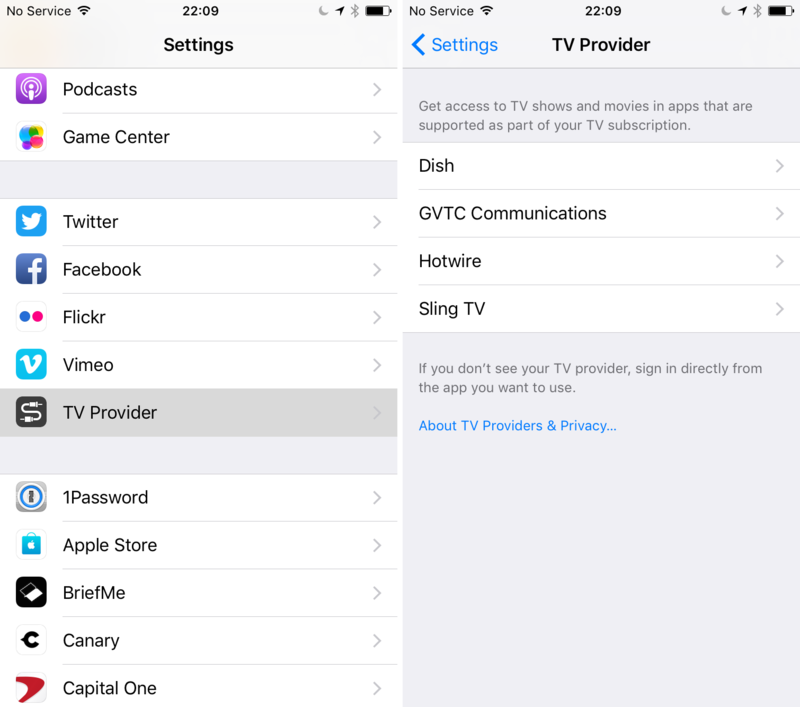 The new feature can be found on iPhone and iPad by launching the Settings app and choosing the newly added TV Provider option. 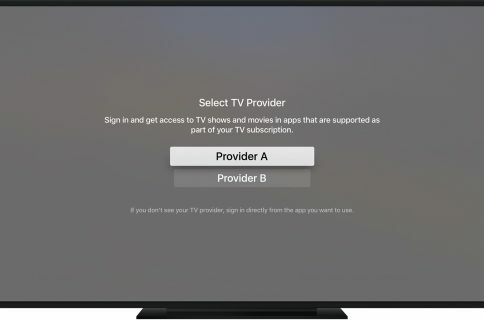 On the fourth-generation Apple TV, Single Sign-On can be accessed by going to Settings > Accounts > TV Provider. 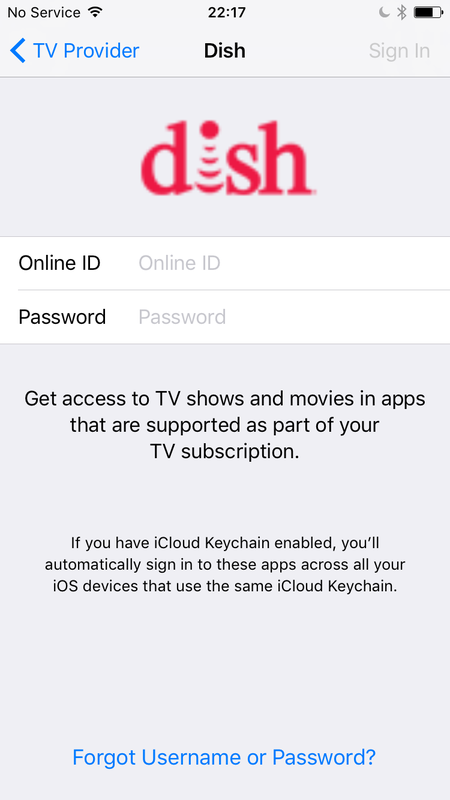 After selecting a TV provider, the user has to enter his login and password to gain access to TV shows and movies in apps that are supported as part of their TV subscription. So far, only a few TV providers are supported, but it’s fair to assume more will be in the near future. 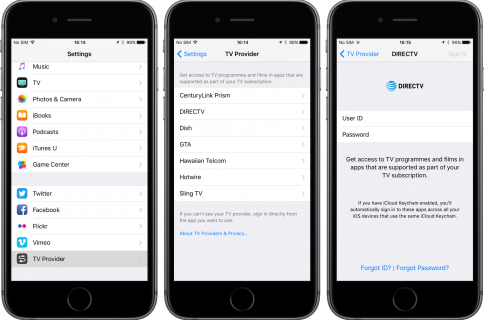 With Single Sign-On Apple aims to make accessing TV content on iOS or tvOS apps much simpler by allowing users to use their credentials once and be automatically logged in all supported apps installed on their devices. Coupled with the upcoming TV app that Apple recently announced, Single-Sign On will help provide a more uniform and streamlined experience. Initially announced at WWDC 2016, Single Sign-On was expected to be released with the tvOS 10 software update for Apple TV back in September, but the feature didn’t make it in the first release. 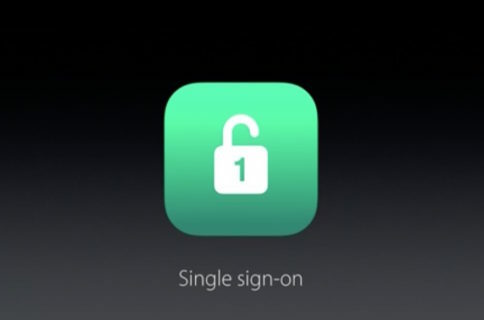 While no official date has been announced, we believe Single Sign-On will be released along the new TV app in December.